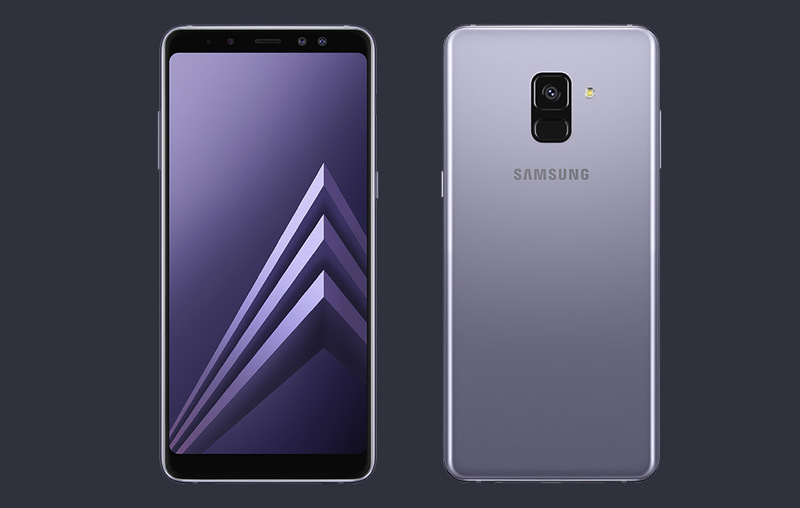 Samsung announced the Galaxy A8 (2018) and Galaxy A8+ (2018) last night, two mid-range phones that are noteworthy because they show Samsung’s interest in bringing their newest high-end Galaxy S and Note experience to the mid-range tier. That experience is the Infinity Display that made last year’s Galaxy phones so appealing, only now you can get it without breaking the budget. 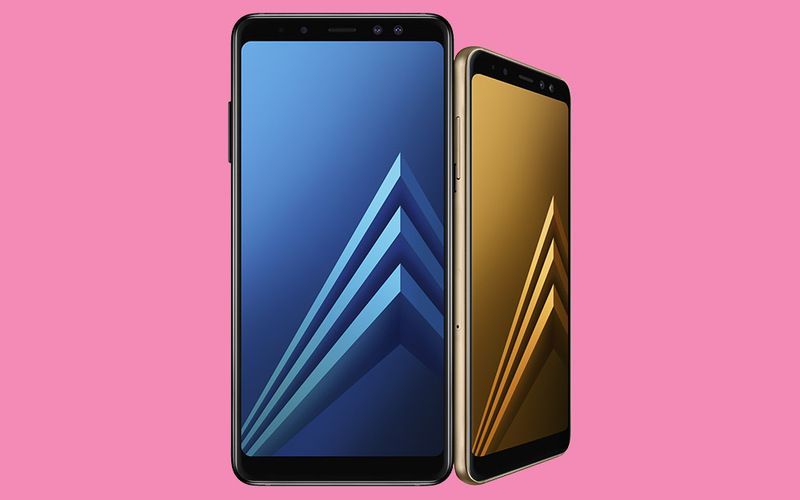 These new Galaxy A8 phones sport 5.6-inch (A8) and 6.0-inch (A8+) FHD+ Super AMOLED Infinity Displays with an 18.5:9 ratio and resolutions of 2220×1080. Everything there lines up with the Galaxy S and Note range, outside of the resolution. That’s a big deal for folks who want the newest from Samsung, yet may not have the cash for their most premium phones. The addition of an Infinity Display also means a move to on-screen navigation buttons and a fingerprint reader swap to the backside. In addition to the display, the A8 and A8+ feature octa-core processors, dual front cameras (16MP+8MP, f/1.9), 16MP rear camera at f/1.7, decent sized batteries (3000mAh and 3500mAh) with Fast Charging, 4GB or 6GB RAM, 32GB or 64GB storage (with microSD expansion), USB Type-C ports, NFC and MST (Samsung Pay), 802.11ac WiFi, Bluetooth 5.0, and IP68 water and dust resistance. We’re talking pretty serious specs here, yet in a budget line of phones. You are only getting Android 7.1.1, but things like Samsung Pay are here, as well as Live Focus for your selfie bokeh action. While these aren’t attempting to compete with the upcoming Galaxy S9 or Galaxy Note 9, Samsung sure is giving you a nice new choice in a tier that hasn’t typically offered a matching experience to flagship phones. Samsung said to expect the Galaxy A8 and A8+ to launch in January of next year in four colors, black, orchid grey, gold, and blue. We don’t yet know how much either phone will cost or which markets will carry them.